Our hoomin scicomm friends killed it on the interwebs this week, so all we needed to do was line up a few science kittehs to illustrate their great stories. 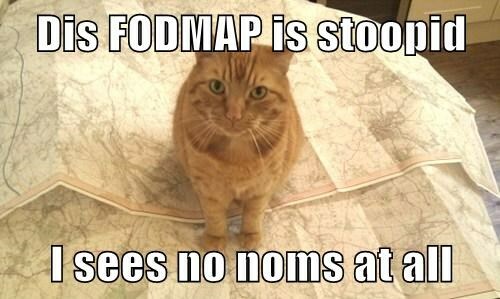 First up, Bethany Brookshire (@scicurious) in ScienceNews explains the science behind gluten sensitivity, including the meaning of FODMAPS, which are, alas, some kind of carbohydrate and not maps to the fud. Next, Matthew Francis (@DrMRFrancis) explains in Slate why quantum mechanics does NOT explain human consciousness. He can also explain why different kittehs spin in different directions, which may be more useful. Finally, over at BoingBoing, Maggie Koerth-Baker (@maggiekb1) delivers a masterful explainer (with gifs!) on the science of faceplanting. 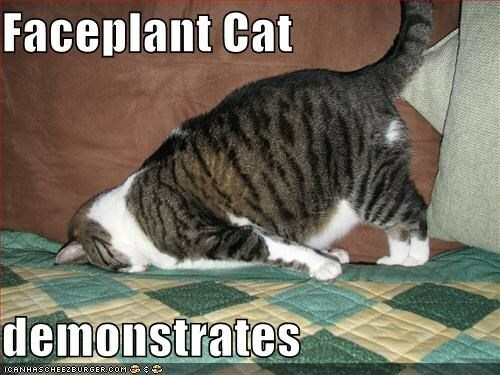 If I have a tiny quibble with this piece, it’s that kittehs generally look upon faceplanting as more of an art. 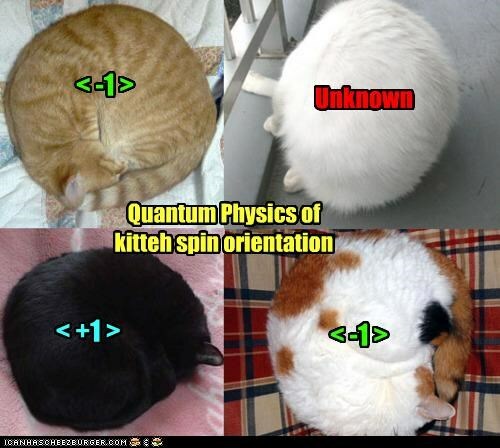 This entry was posted in Science Caturday and tagged Bethany Brookshire, faceplant cat, maggie koerth-baker, Matthew Francis, nutrition cat, physics cat, science kitteh, science lolcat. Bookmark the permalink.